In this edition of recent loves, I wanted to share a few products that have kept my winter skin at bay lately. My skin usually doesn't react well to the cold which has a way of exacerbating dryness and sensitivity. So I made a few changes to my routine and added these skin treats to actively counter the effects of the weather. It's worked out pretty well. Here are some more tips on how to winter proof your skincare routine. I suspect this may be due to the influence of all the Korean dramas I watch but I'm really big on that dewy skin look. 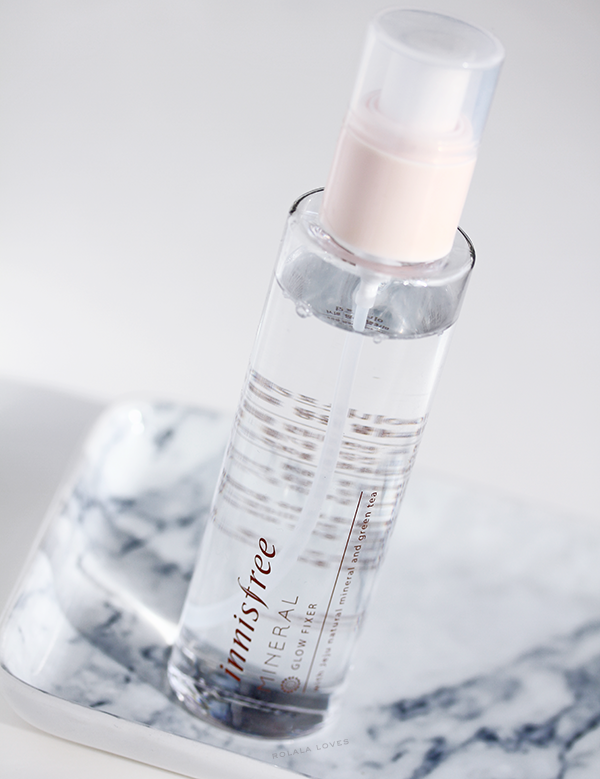 I have a number of facial sprays that I employ at various times of the day but I got the Innisfree Mineral Glow Fixer specifically as a setting spray to use on top of my not very elaborate makeup routine. This spray combines a premium herbal/mineral blend with a superfine powder mist that is supposed to fix your makeup in place while also providing a dose of moisture and nourishment. For me, this does keep my makeup intact for hours and also gives my face a natural and radiant glow and it has a lovely light green scent. Innisfree is a Korean brand out of the island of Jeju in South Korea that is known for their pure and natural beauty products. I purchased this product through Memebox for $16 and I think this was money well spent. It can also be purchased on Amazon. 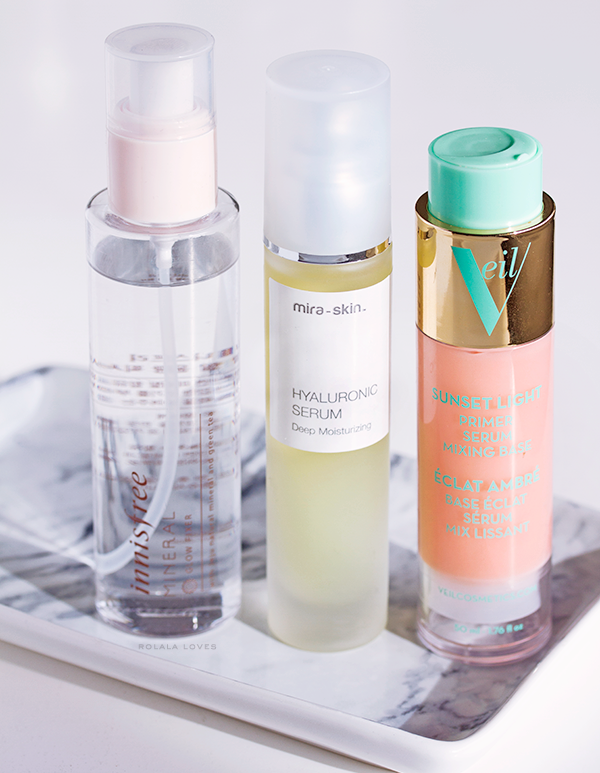 I've been using this Mira Skin Hyaluronic Skin Serum as a moisture booster in between my targeted serum and moisturizer and have had zero incidents with the flaking and dry patches that sometimes plague my forehead and nose during the colder months. Hyaluronic acid is highly touted as an extremely effective and lightweight moisturizer. This serum contains hyaluron in it's purest form enriched with eight valuable nutrients (Collagen, Microcrystalline Silver, MSM, Vitamin E, Omega3, Vitamin A, CoQ10, Frankincense and AHA's). This is an impressive moisturizer and skin smoother and I really like the way it sinks in and plumps my skin. The only thing I'm not crazy about is the price which is $149 but it's truly saving my skin right now. I haven't regularly used primers just because they tend not to agree with my skin. 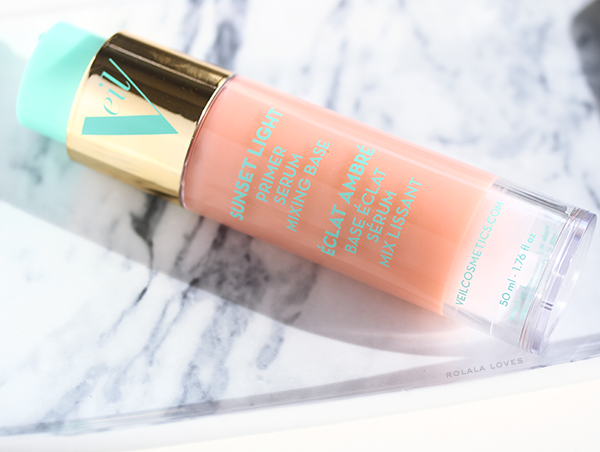 Veil Cosmetics Sunset Light was a pleasant surprise and played nice from the very first time I used it. This versatile oil and paraben free product is described as a fluid filter that helps skin achieve the perfecting and smoothing radiance emanated at sunset. It can be used to prime the complexion to provide makeup longevity with serum-like effects that instantly diminish the appearance of pores and fine lines while hydrating, plumping and brightening the skin. It can also be mixed with foundation to create the ideal glide and pigment spread. I've tried it both ways and I generally prefer to use this a primer. It feels virtually weightless and gives off the loveliest soft focus effect. And it doesn't ball up or dry out my skin when I apply my cushion compact which is what usually happens with most other primers. My skin always looks better when I use it and on good days it even gives me that coveted lit from within look. My search for the perfect primer is finally over. Veil Cosmetics Sunset Light retails for $59 and can be found on the brand's website and Amazon. How have you changed your skincare routine for the cold weather? What products are you loving lately? This Veil cosmetics light primer serum sounds interesting...I like how it can be used in more than one ways. Mira skin serum sounds like the perfect product for these cold days....and that first product, the fixter, got me thinking why I never tried out something like that. I will love to try the primer these products all sound amazing and great for the skin thanks for the introduction. Dang, too bad the Mira serum is so expensive because it really sounds like something my skin would love. Yes to Mira serum, I would like to try it! All three products sounds like something I want to try out. I changed my skincare due to winter weather. My skin has become so dry (I am normally Ms oily) I am using EA right now and pretty happy with it. Happy hump day, Rowena. Stay warm. I have been seeing Innisfree appearing on many blogs recently and I have a few products in my list to try. I recently found out that it's a Korean drugstore brand but it's not selling for a drugstore price back in Malaysia. LOL! I have been loving facial oils recently, it's one of the main reasons why my skin has been so good this winter. Ahhh, all these products look like a dream. I've not heard of them in the UK though! I love your recent skincare products..I love am loving Loreal Revitalift Volume skincare line for keeping moisture in my skin again the dry heat and harsh cold air! The packaging looks totally gorgeous! I don't change my skincare routine according to the seasons... it's because I like to stick to the same routine. I only rarely add new elements to it. My skin hasn't reacted to the cold as much as it usually does, due to pregnancy hormones I think, so I just introduced a lightweight moisturizer during daytime and a slightly heavier oil at night. The Hyaluronic Serum sounds lush, but the price? Wow. 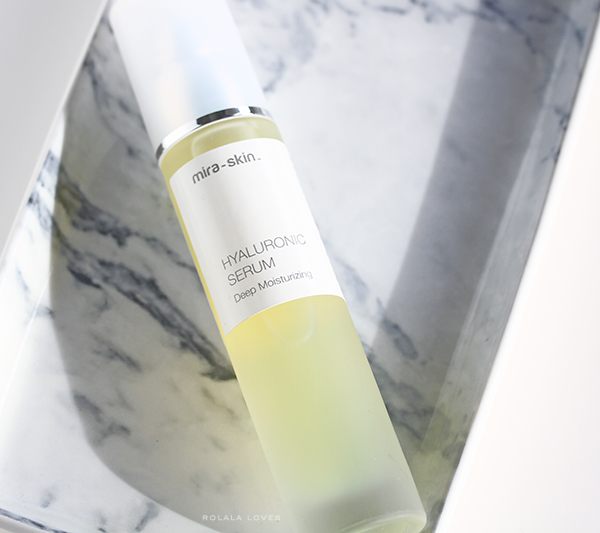 The Mira-skin Hyaluronic Serum sounds really lovely! Mira skin sounds interesting! I know Neutrogena's gel with hyaluronic acid is supposed to be good as well so this sounds cool! Muy buenos productos. Saludos desde El Blog de Boris Estebitan. 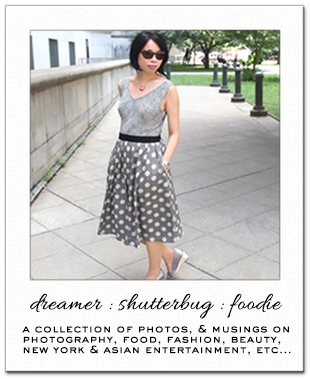 Your blog is a treasure chest of wonderful information! I find myself going back to it from time to time to re-read what you've written about certain products! Great stuff again! Great items and amazing pictures :)...thx for sharing! Very lovely pictures and review; you always showcase amazing products. Amazing review! Thanks for sharing!! Lovely products and review. I usually maintain the same routine regardless of the season until I fine the next 'big' thing.